B&R Construction builds complete boat dock systems to enhance your lakefront property. 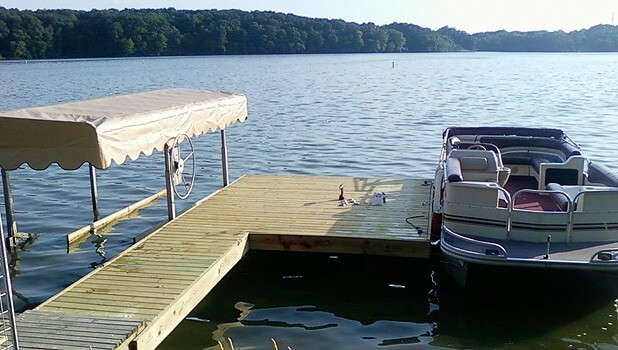 Every boat dock built by B&R Construction is custom tailored to each customer’s needs. Multiple boat slips, cradle and strap boat hoists, precast concrete roofs, storage sheds, and foundations, and more. We can help you build your dream lakefront property. Our boat docks are built on steel pilings driven 15 feet into the lakebed, eliminating shifting and providing a stable constriction for the boat dock or boat house. Boat hoists can be installed in the boat house to raise your boat out of the water during winter. Pre-cast concrete panels can be used for dock docks, boat house roofs, and party decks. For a boat dock or a boat house, there are typically a few basic designs that appeal to most people and that we can customize or make more elaborate, according to personal tastes. 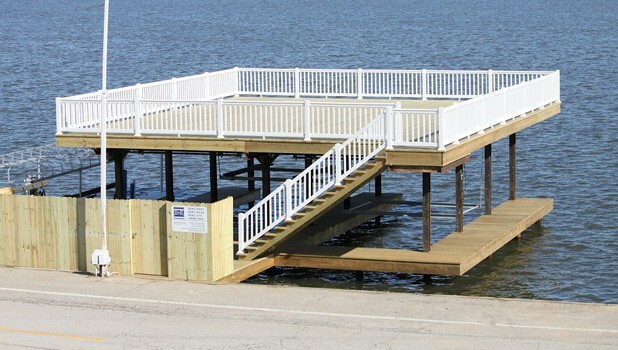 The basic platform style dock or fishing pier is designed for people who don’t have a boat but still like to enjoy the waterfront or fishing. We offer the single slip boat dock for people who don’t have multiple boats or PWC (personal watercraft such as jet skis). We can build the single dock with a party platform out to one side or a wide side boat dock for people who like to sit out by the lake and enjoy the weather and atmosphere. B & R Construction also offers a double slip dock for those who might have multiple boats and prefer to keep their investment protected from the weather. We can also build a single or double slip dock with a custom area for a PWC (personal watercraft) lift, which is becoming more and more popular. We can custom design whatever you can envision, or we can co-design with you for the best strengths to meet your needs.